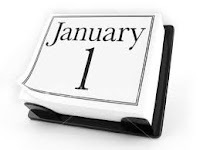 Kritters Ramblings: January 2011 - A great place to begin. January 2011 - A great place to begin. A new year, a new month and a few changes happening at my house. Once the dust settles, I will be sure to share it all! Until then, I have completed the first month in my first full year of blogging. I am officially hooked on this blogging business and loving every moment of it! With my first month tracking where my books took place completed - I loved it! It was so interesting realizing where I tend to read books. So each month, I will recap where my books took place. I am enjoying tracking where I read too... it is so interesting and I get excited when I see it is in an area I have yet to read in! Thanks for mentioning "The Big Show Stopper" - looking forward to your stop on the book's blog tour on the 10th! Wow, thats a lot of books in a month and some good ones as well.